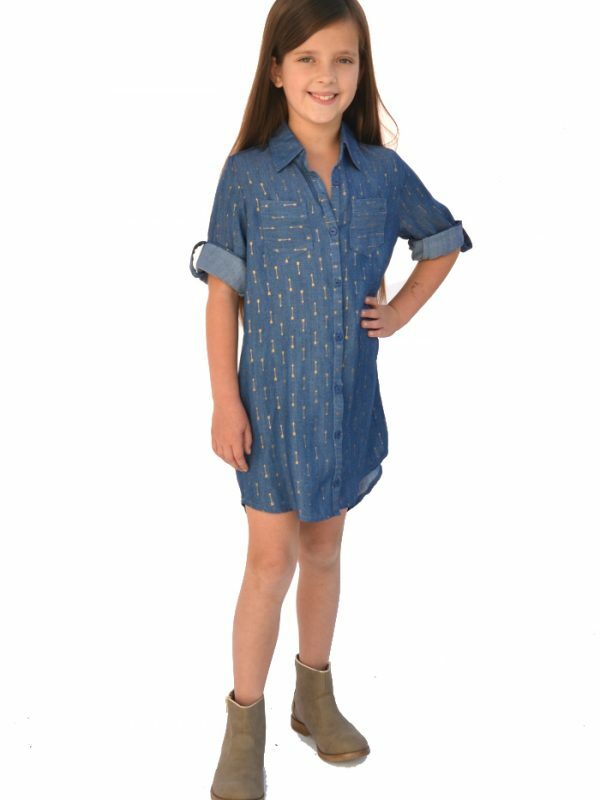 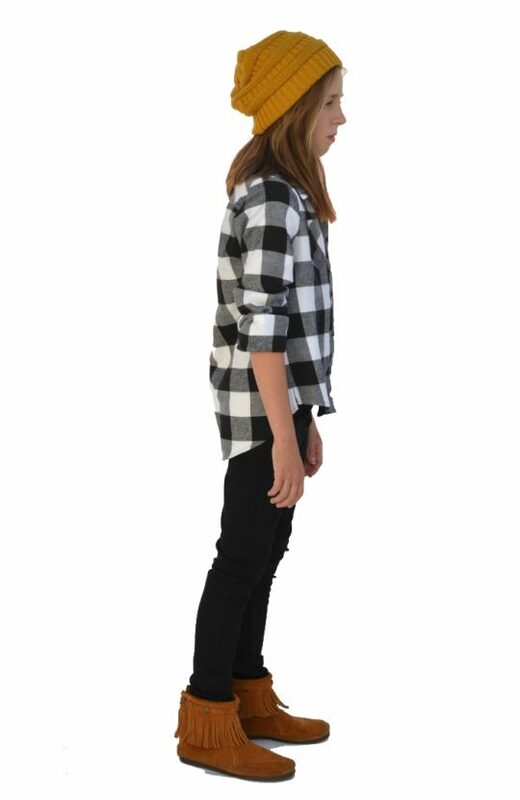 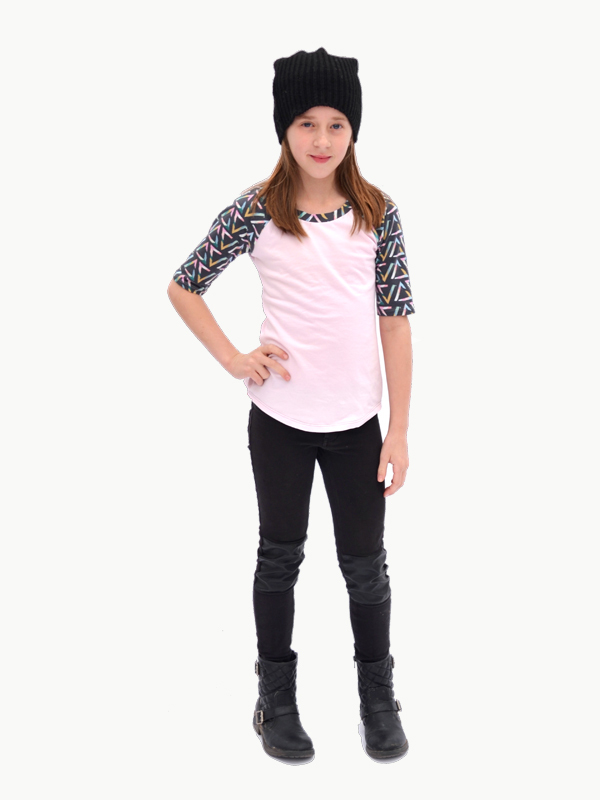 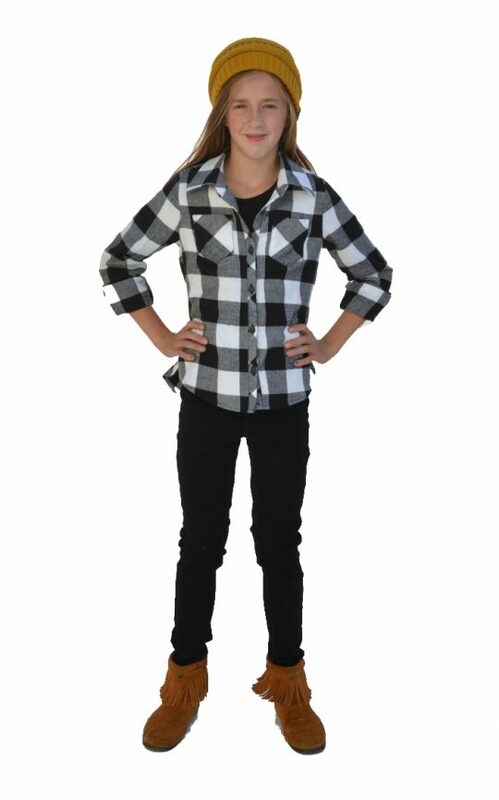 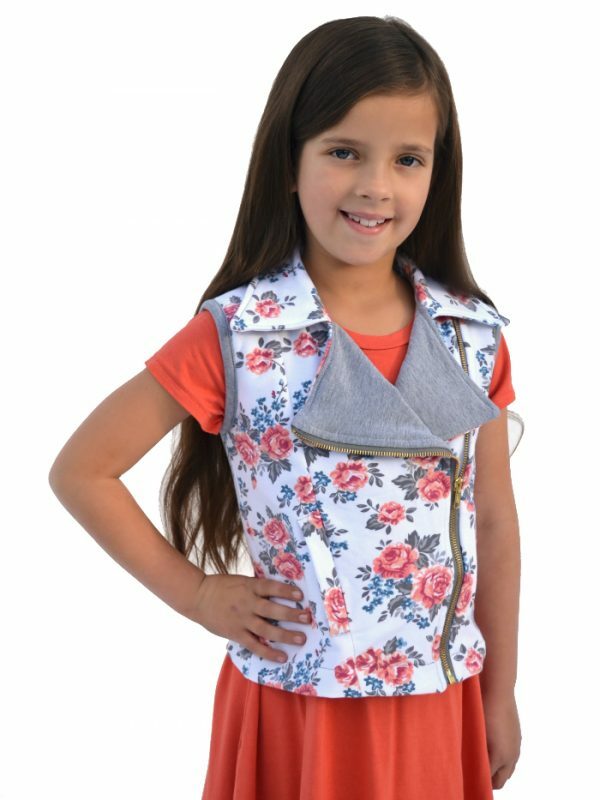 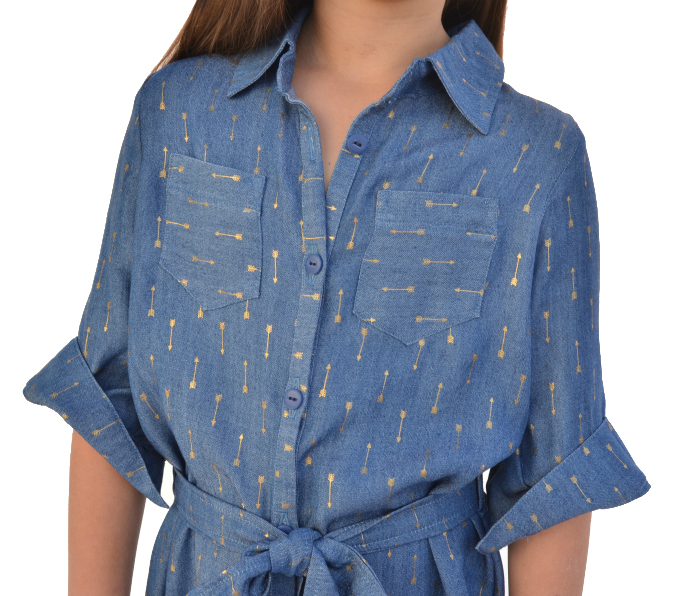 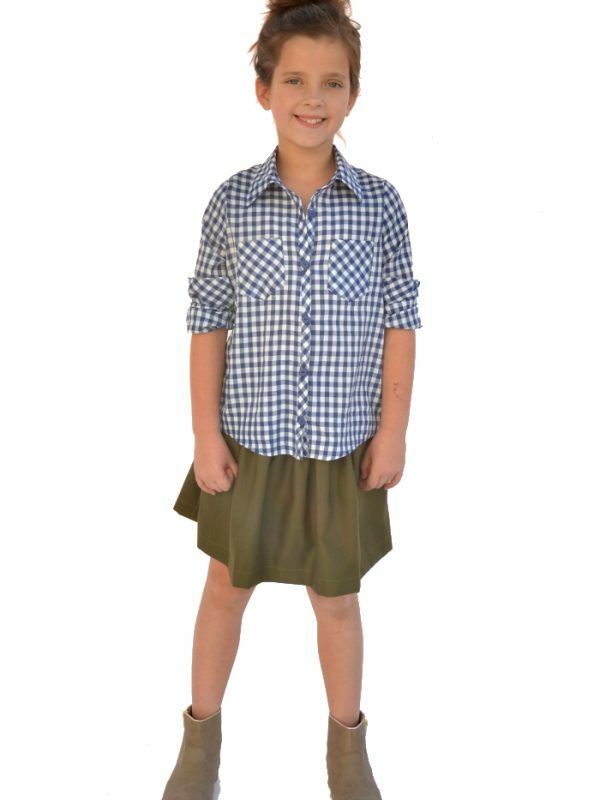 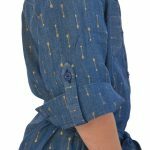 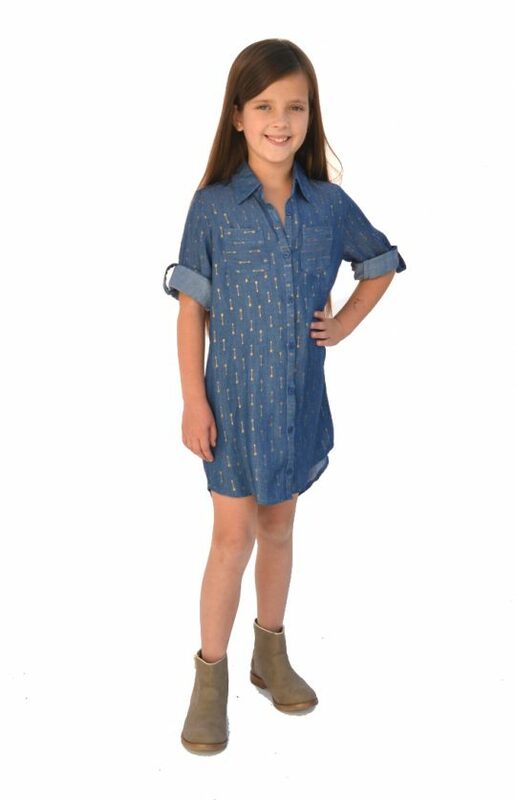 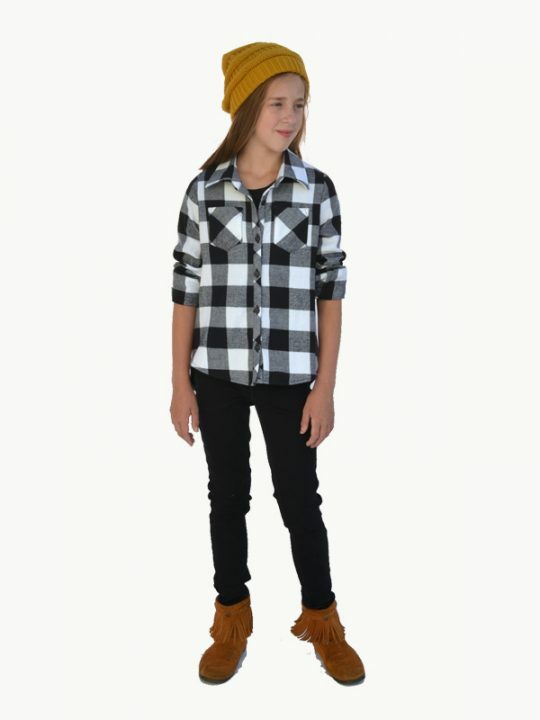 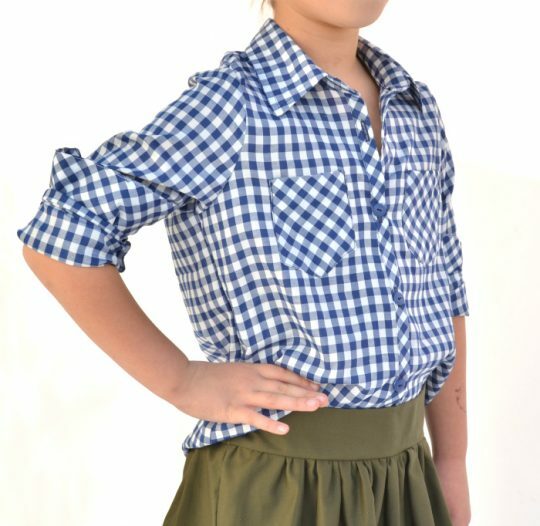 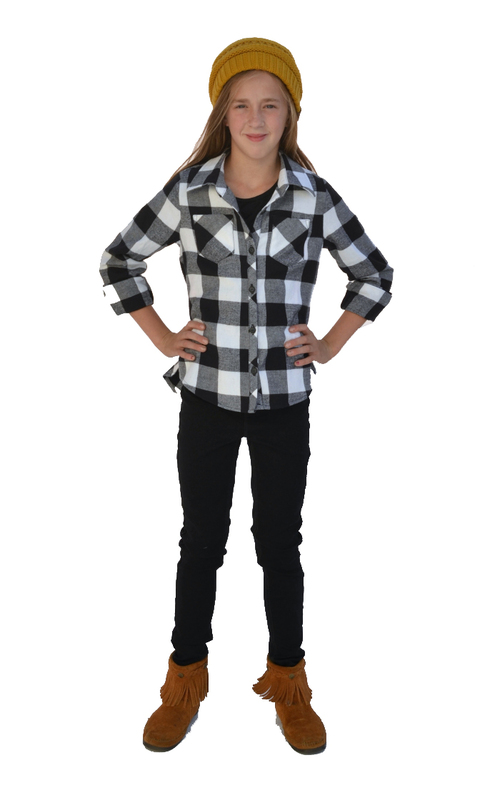 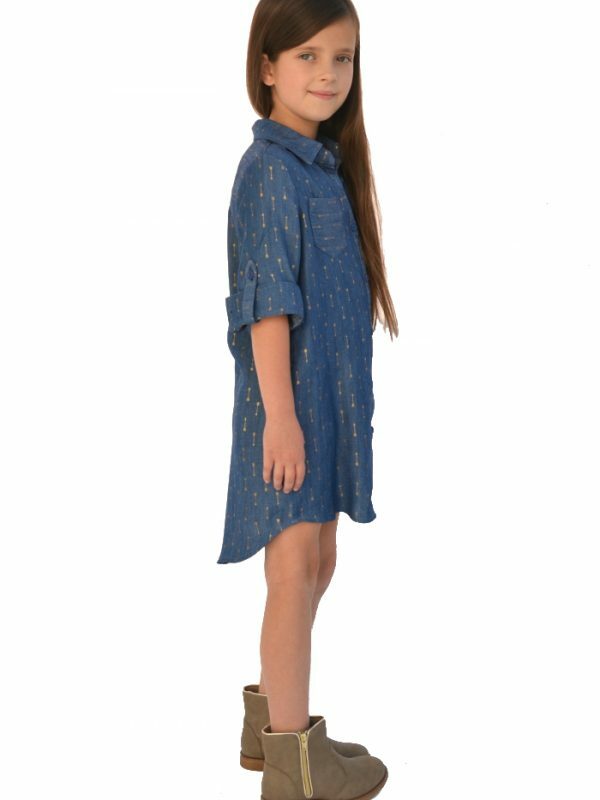 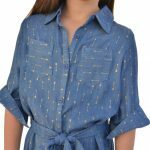 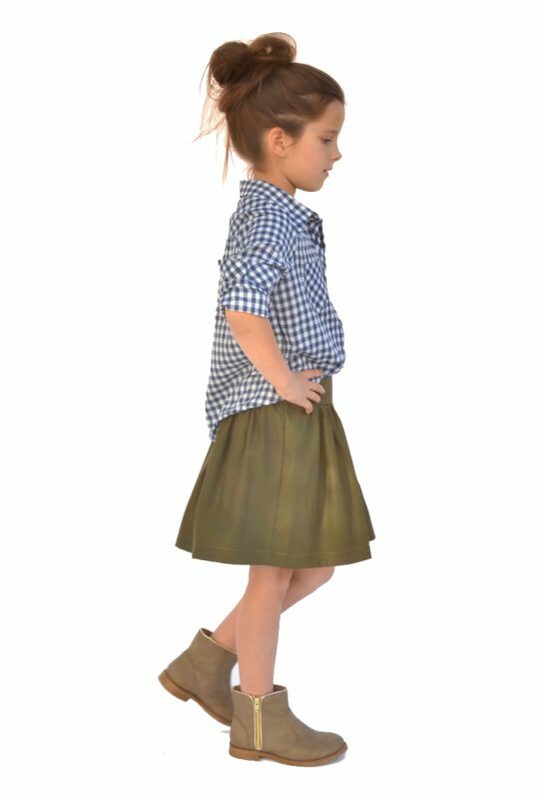 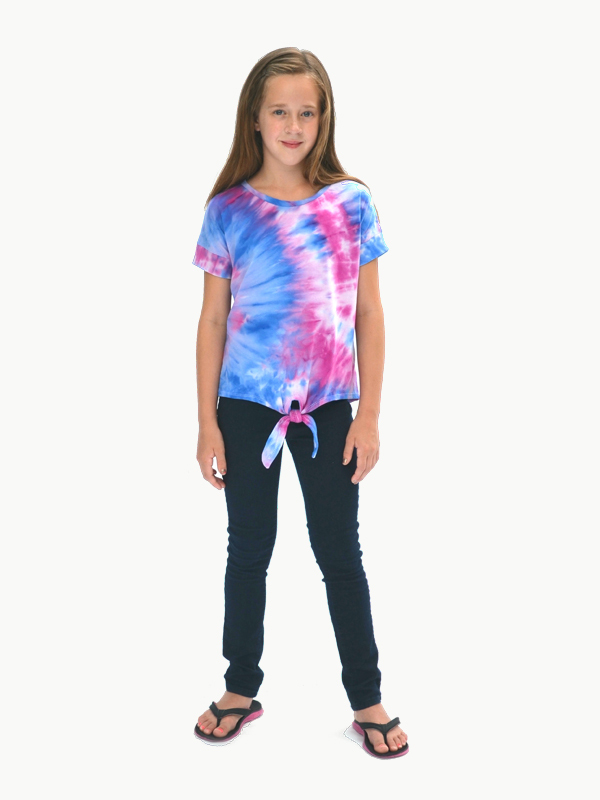 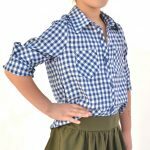 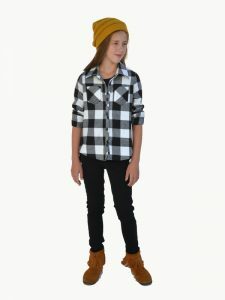 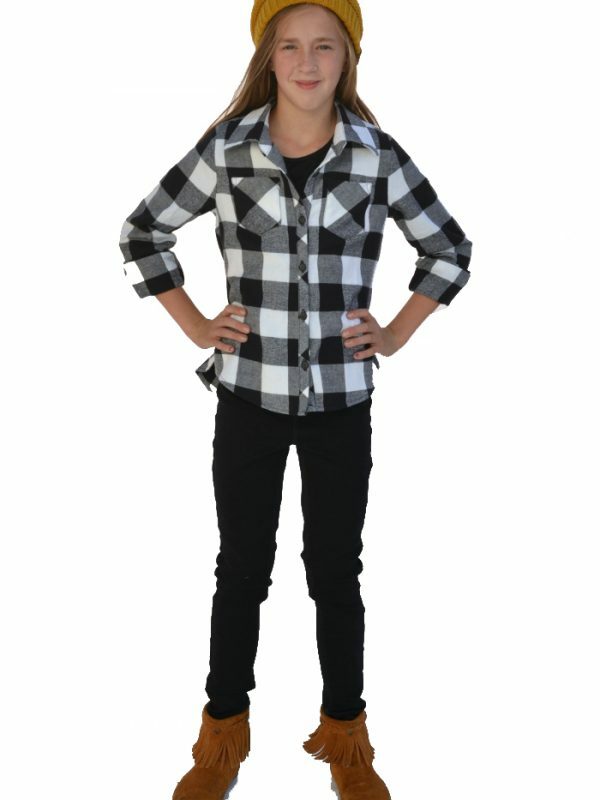 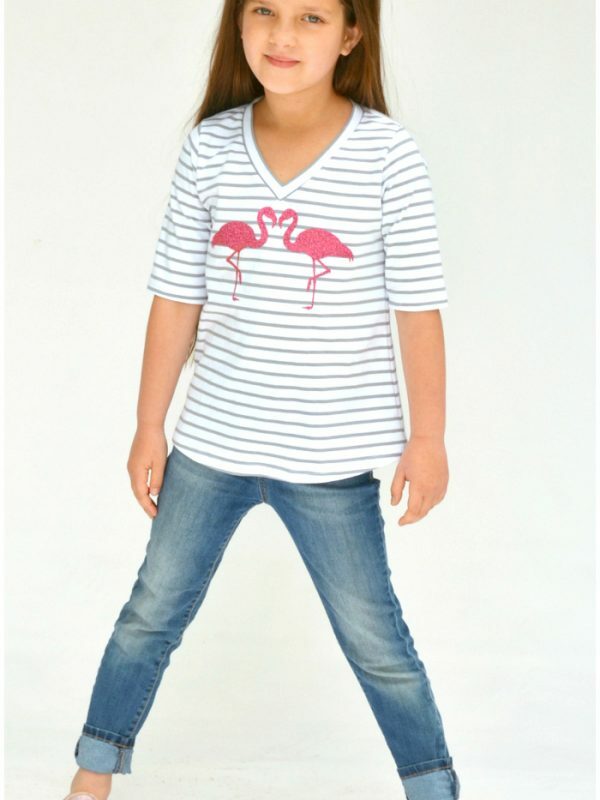 The Laramie Shirt is a casual woven shirt, tunic, or dress in two views for Juniors. 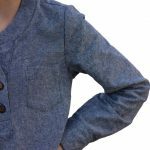 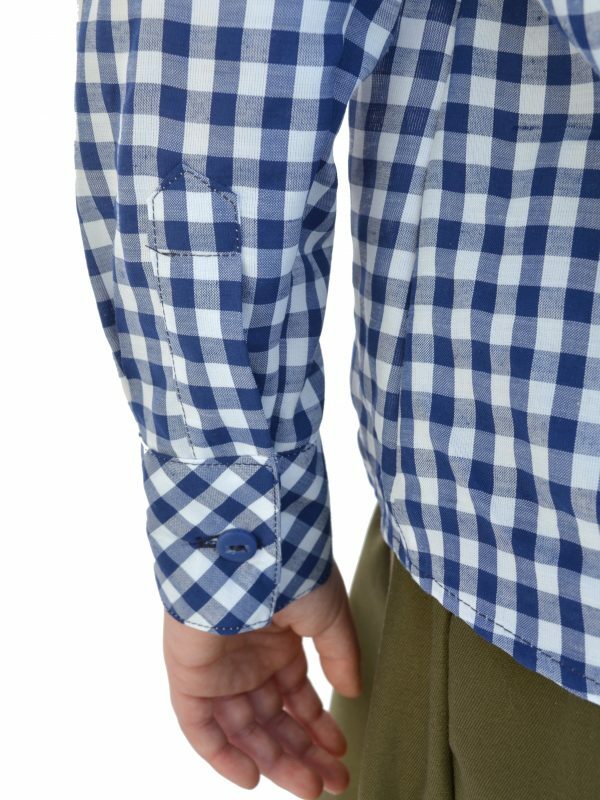 View A is a standard collared button down, perfect for making a cozy flannel or trendy chambray shirt. 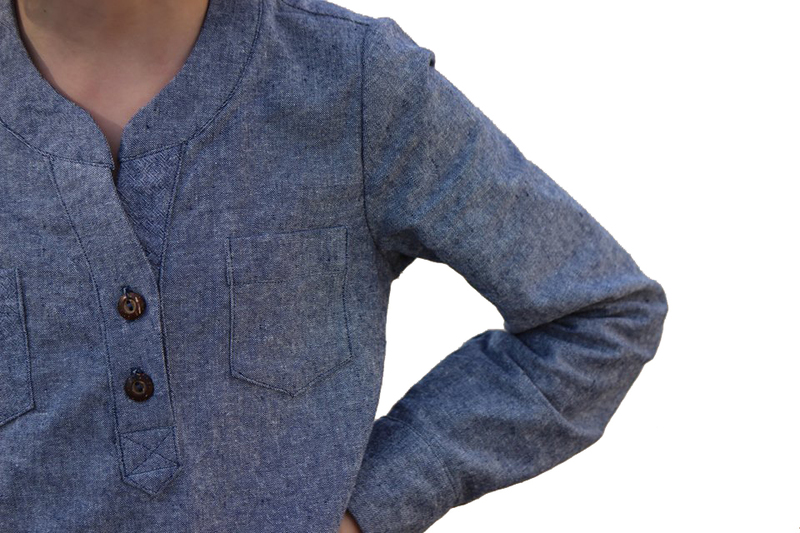 View B has a dropped neckline with no collar and a shaped half placket. Both views feature full or 3/4 length sleeves with optional sleeve tabs and pockets and shirt or tunic lengths. 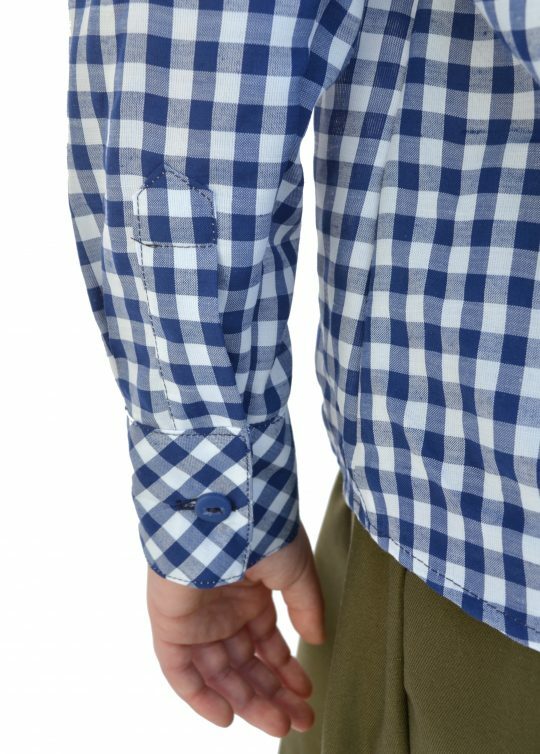 All interior seams are finished with French seaming for a beautiful shirt inside and out. 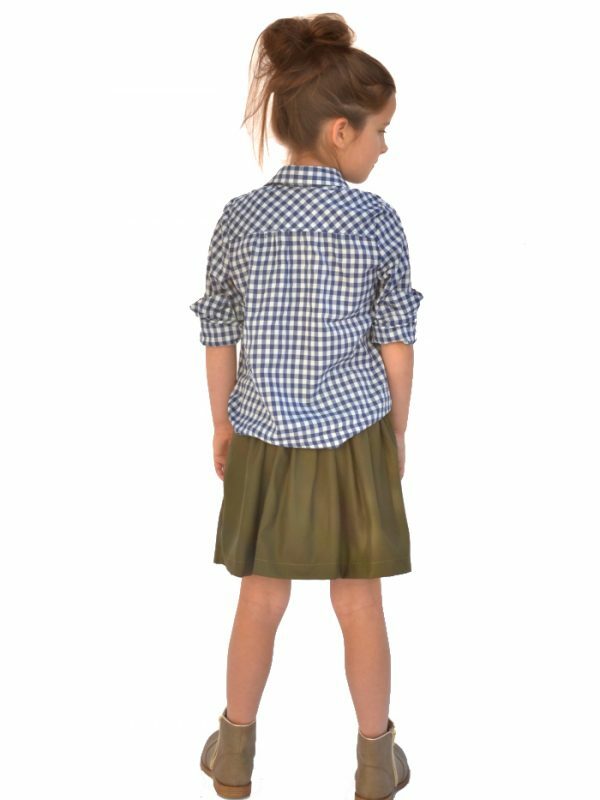 The Laramie can be dressed up for work in fancier fabrics like cotton sateen or georgette, or made casual with a soft flannel plaid or cotton shirting. 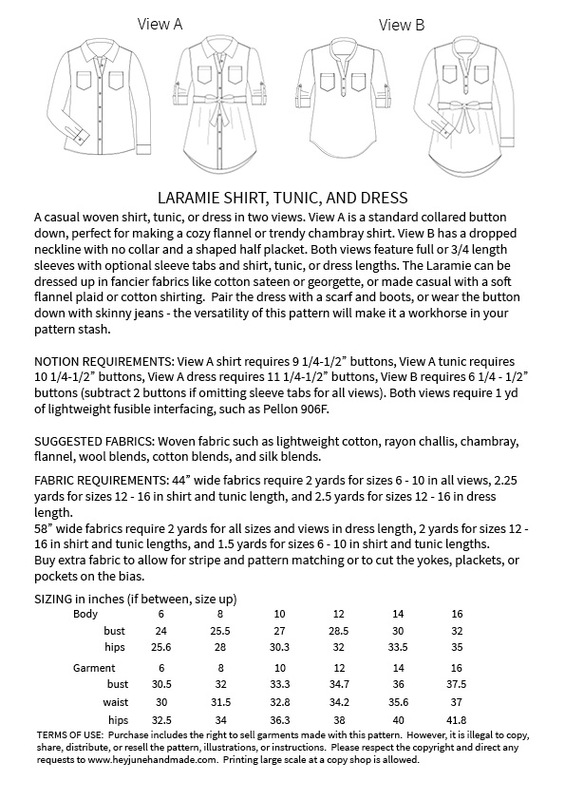 – A print shop copy so you can print the entire pattern on one sheet of 36″ wide paper or two sheets of A0 sized paper for non-US customers. 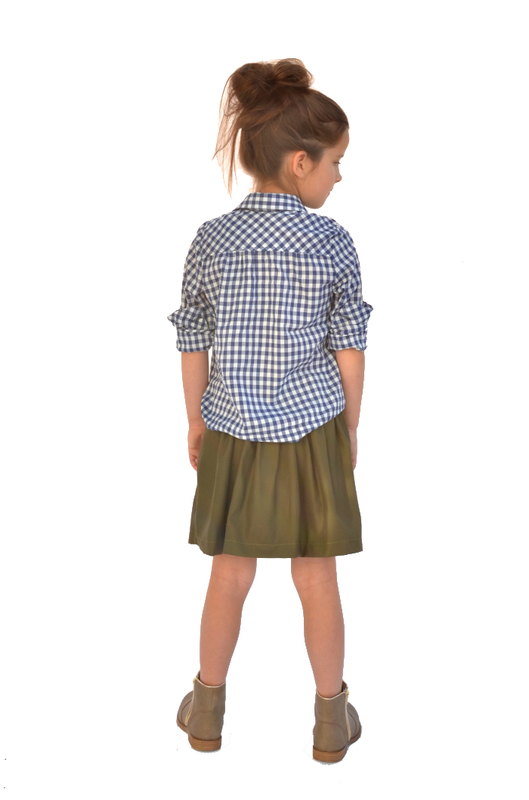 When you check out, the .pdf file will automatically be sent to the email address you enter when you check out. 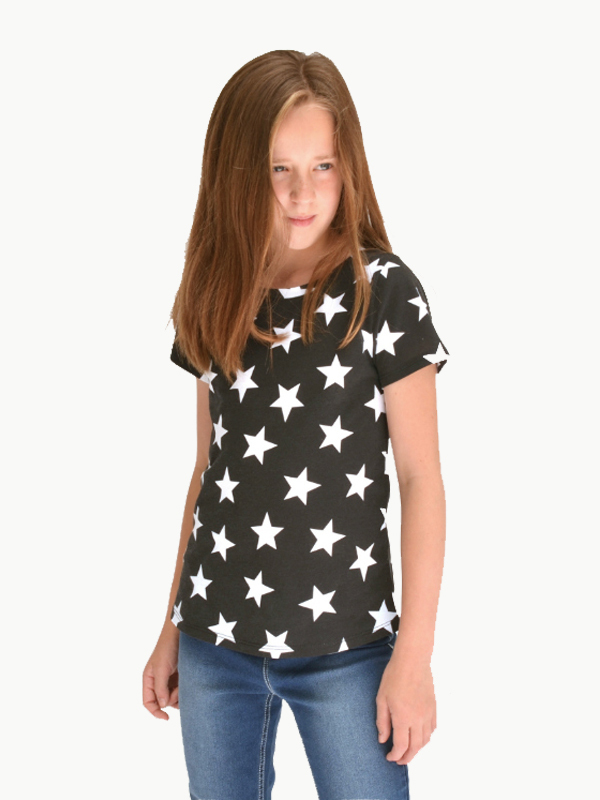 You can also access it after purchase in your account on the Hey June website. 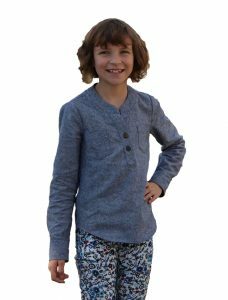 This download includes the original pattern with A0 and copy shop sizes included, and has been updated to also include a separate copy of the A0 and copy shop sizes for easy online printing. A0 is a standard paper size and must be printed as such. 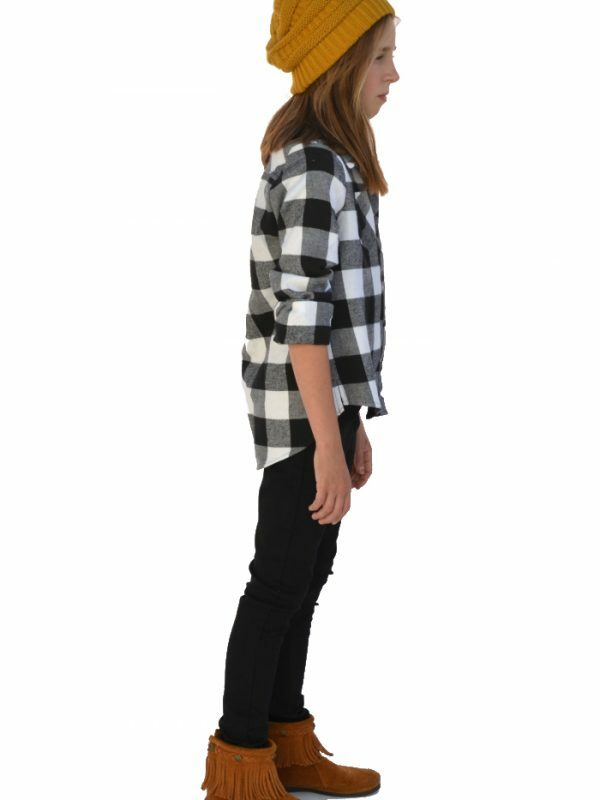 The copy shop files are 36″ wide by the length of the pattern and can be printed on wide format printers with continuous rolls of paper. 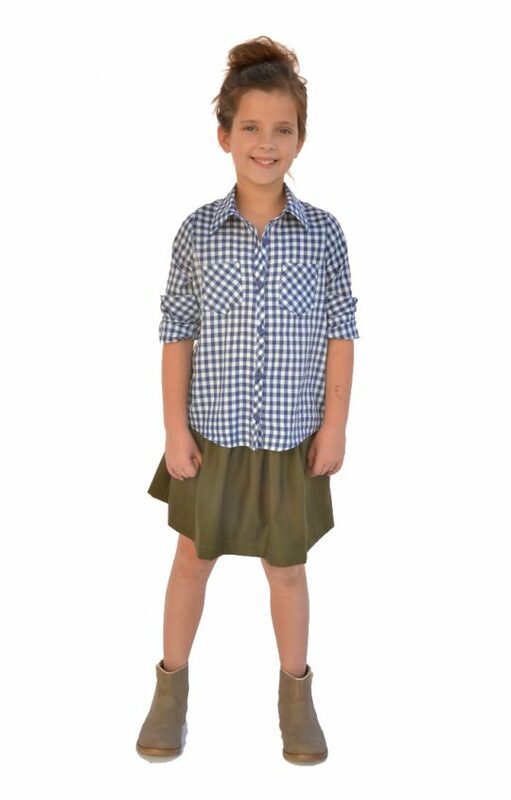 Purchase includes the right to sell garments made with this pattern. 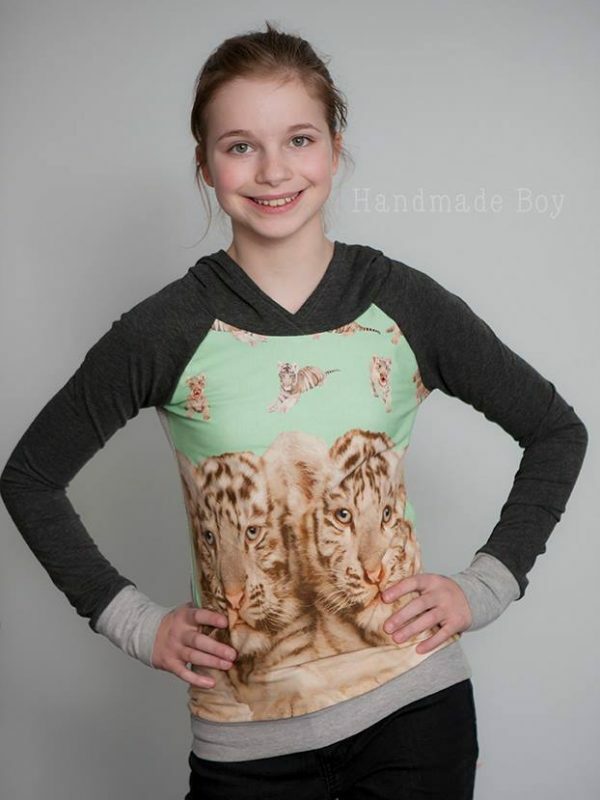 It is illegal to share, distribute, or resell the pattern, directions, or any pictures without permission. Read more about the Laramie and see more pictures here. 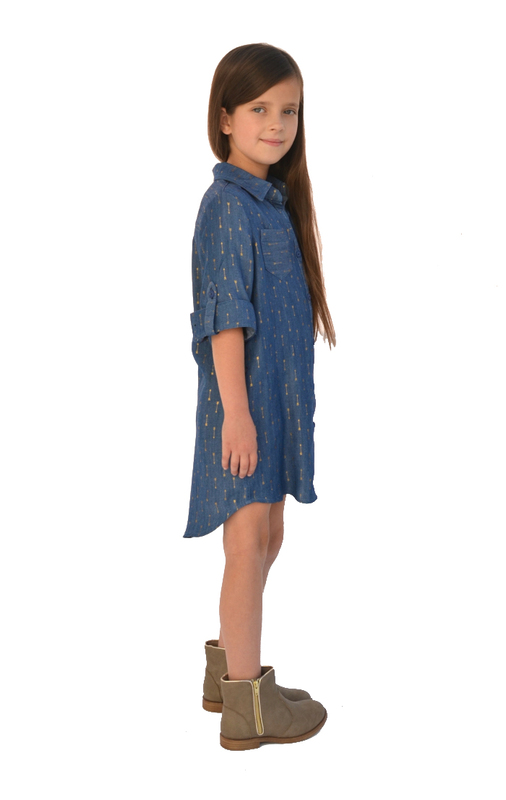 View the grown-up version of the Laramie – The Cheyenne Tunic. 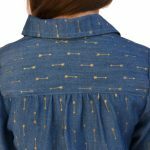 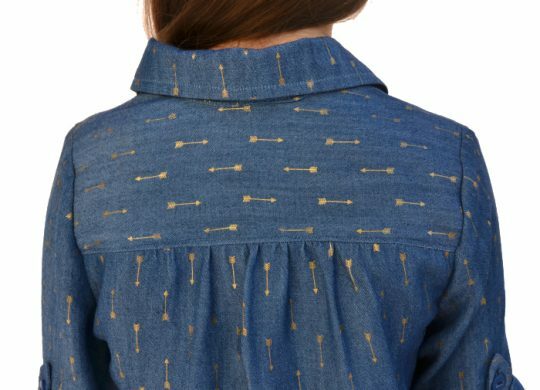 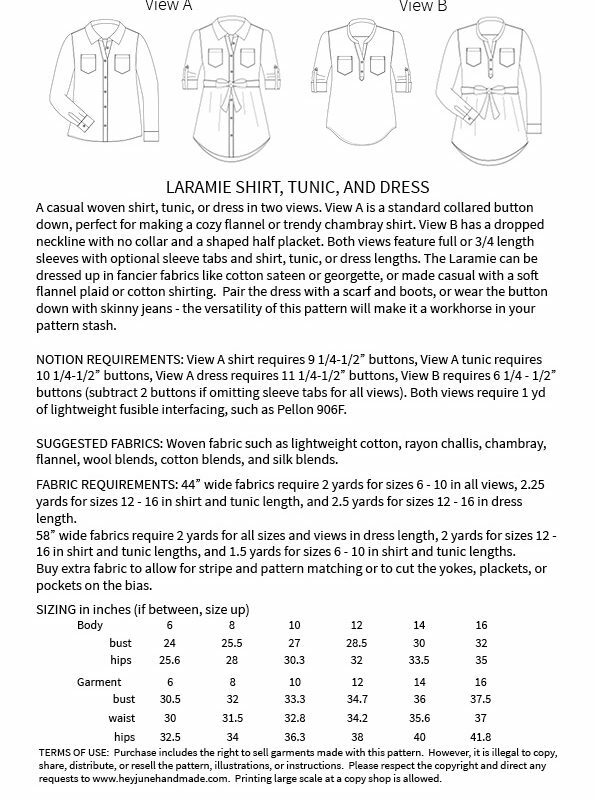 Follow the Cheyenne Tunic sew-along for tips and photos to help you sew up the Laramie.